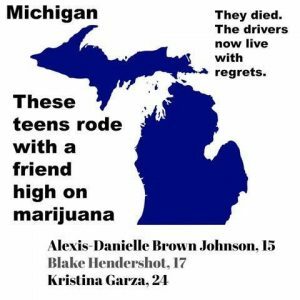 that marijuana is harmless, “safer than alcohol” and “never killed anyone.” Furthermore, medical marijuana states such as Michigan make the drug attractive to teens. If it’s “medicinal,” it can’t be dangerous, they say. under the influence when someone dies. A case in point is Sean Martin who was 17 years old when he caused a fatal crash in Detroit last year. He’s charged with killing Dr. Cynthia Ray and leaving runner Sean English a parapalegic, but had THC in his system when tested 8 hours after the crash. Bicycling is healthy, but bicyclists really aren’t safe when we get more stoned drivers on the road. 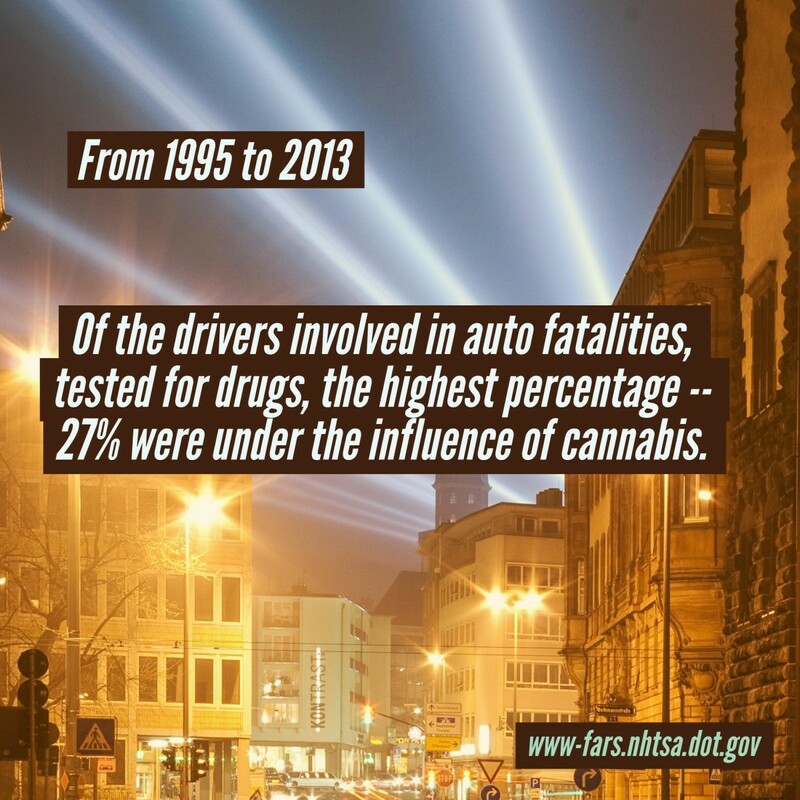 Stoned drivers tend to drive earlier in the day than drunk drivers who drive at night, which should be a concern for both cyclists and pedestrians. 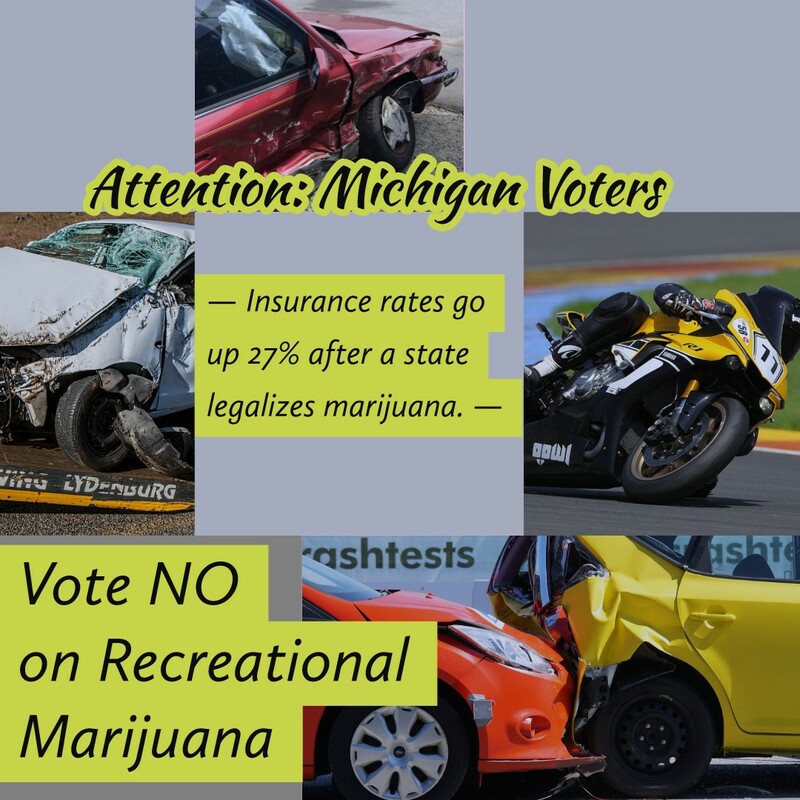 Michigan already has a stoned driver problem and tough laws against driving high have not prevented traffic deaths. 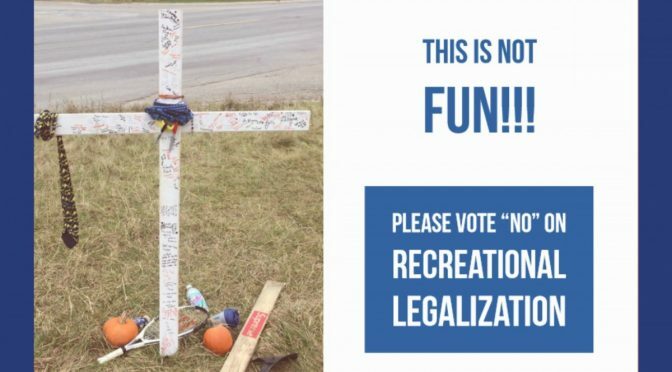 Vote NO on legalizing marijuana, Proposal 18.1, to protect you and your loved ones. Insurance rates go up 27% after a state legalizes marijuana. 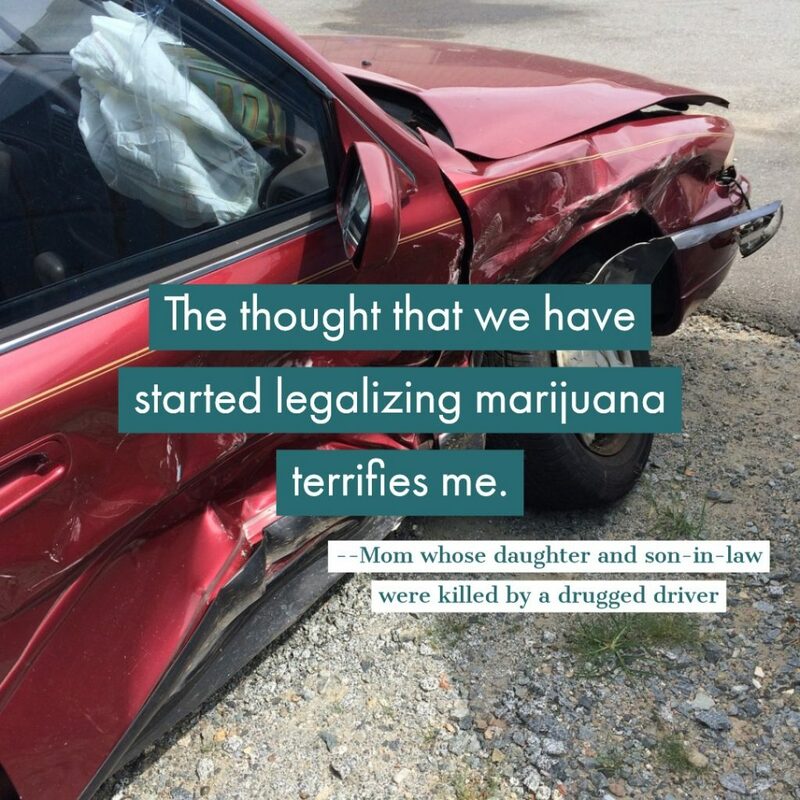 We don’t have adequate respect for the families who lost loved ones to stoned drivers. 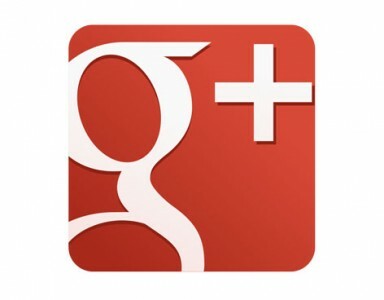 The justice system tends to favor the accused over the victims. 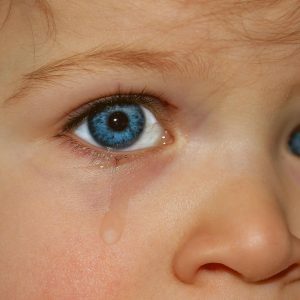 After all, when it’s legal for the adults to get stoned, how can you blame the teens for thinking pot use is harmless? Michigan also has a problem with marijuana lab explosions and burns from BHO fires, which only get worse with legalization.